A song can be only be marketed at the commercial level only if it is professionally produced. This tutorial assumes you already have the necessary recording gears at your home studio and that you are looking forward to produce quality recordings for broadcasting. One may ask the definition of broadcast quality recordings. The easiest definition is simply observation. Turn on your TV and listen to the sound tracks of the TV shows; or you can listen to your favorite FM radio station. And listen very closely to the sound quality of the recording. 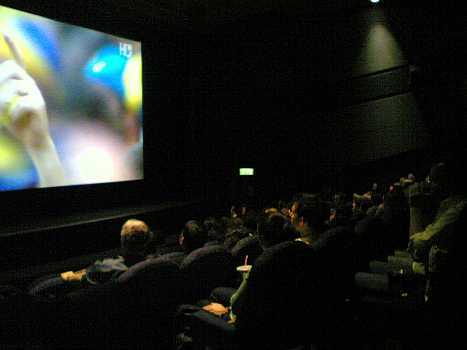 Or you can go to a movie theater and watch your favorite movie, and then you hear broadcast quality recordings. 1.) The recording is entirely free of noise or distortion. 2.) Distortion won’t appear even when it gets played at a very loud volumes. 3.) The vocals and the musical instruments are not drowned with noise or artifacts when it gets played at a very low volumes. 4.) There is sufficient dynamics in the recording. 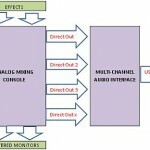 Dynamics are highly important factors on creating a broadcast friendly mix. a.) Converting the mix to mono. b.) Resampling – audio for television and film are often using 48KHz sample rate. To make as high resolution as possible, you have the options of recording at 48KHz at the start and retain this sample rate. In my experience and my ears, recording at 48KHz would sound better for music designed for broadcasting (such as TV and movie production where 48KHz are commonly used) than recording at 44.1KHz. c.) Bit depth conversion – most projects for broadcasting a 16-bits. Most projects after mastering facility should be optimized for 16-bit playback. However recordings should be done at higher than 16-bit to ensure that fidelity and quality maximized. This is why all recordings should be done in 24-bits and not in 16-bits. d.) Further compression and EQ – some processors like those used in radio includes compressors and EQ to tweak the broadcasted audio to taste. If your music is not flat or lacking in dynamics, the quality would worsen during broadcasting. Every songwriters or wannabe engineers/producers, often think, it is impossible to create broadcast quality audio recordings in your home. It is because they always think that it can only be done in a high quality recording studio. But the main factor to create broadcast quality recordings depends on the skill (both technical and listening skills) of the engineer itself that may take years to develop. It is why trying to buy all expensive studio equipments or software cannot solve the problem. The main problem lies in your recording, mixing and mastering skills.